The Quebec-based REIT secured a brokered private placement valued at approximately $12 million on April 23 and will use those funds for four investment properties in a deal that should close on or around June 2. “The addition of these four new properties, added to the acquisition announced on April 28, will bring the REIT’s portfolio to 14 properties with an aggregate of 656,345 square feet of leasable area, an increase of 55 per cent compared to our current gross leasable area, in line with our growth strategy,” Nobel president and chief executive officer Jean Teasdale stated in a release. Three adjacent industrial buildings in the borough of Saint-Hubert in the city of Longueuil located at 3550 1st St., 3600 1st St. and 3330 2nd St. near Highway 30 will cost Nobel $10.7 million for their combined leasable area of 116,157 square feet. The occupancy rate is 97.4 per cent while the effective capitalization rate of the acquisition is 7.3 per cent. The other property, in the Montreal borough of Lachine at 10340 Côte-de-Liesse Rd., is a two-storey, 26,216-square-foot office building that will be acquired for $3.4 million. It’s located on the service road of Highway 520 near the Pierre-Elliott-Trudeau International Airport and Highways 20 and 40. Its occupancy rate is 95.5 per cent and its effective capitalization rate is 7.25 per cent. 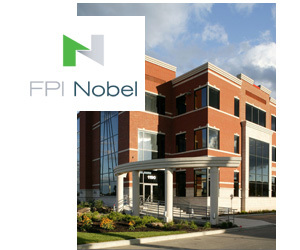 Nobel focuses on acquiring commercial retail, mixed-used retail, industrial and suburban office properties in Quebec. It just released its financial results for its first quarter ended March 31 and its year-over-year rental revenues more than tripled while its net operating income almost quadrupled during that same period. “Revenues for the first quarter of 2015 are up 63 per cent from the last quarter of 2014, reflecting the impact of the three properties acquired in December 2014,” Teasdale said in a statement.